Sure, maybe baby won't remember opening presents this year, but that doesn't mean you still shouldn't try to make baby's first holiday season as special as possible! 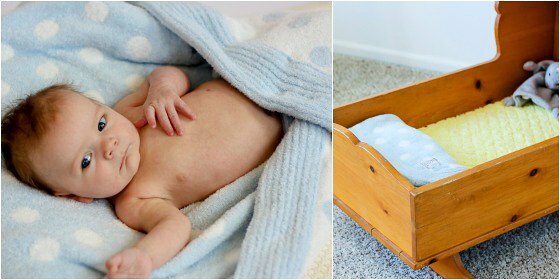 From toys to some of the softest blankets out there, read on for Daily Mom's tried and tested infant gift ideas. 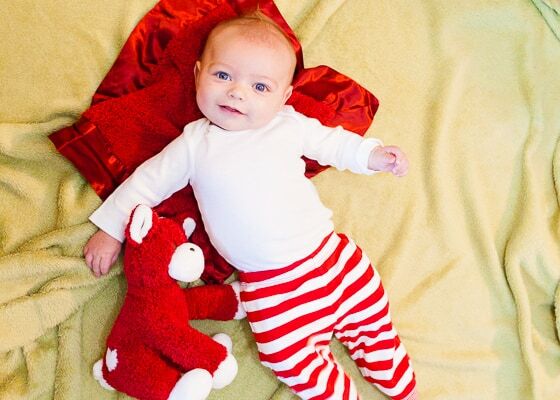 Many babies attach to a blankie or stuffed animal as a way to adjust to new situations, such as day care. Even a young baby can appreciate and be comforted by a blankie that smells of mom and home. 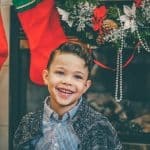 So why not give your baby a truly unique toy or blankie to love this Christmas? Forget teddy bears--cows are in! This plush toy and blankie by Apple Park is not just any cow, it's a Chef Cow! 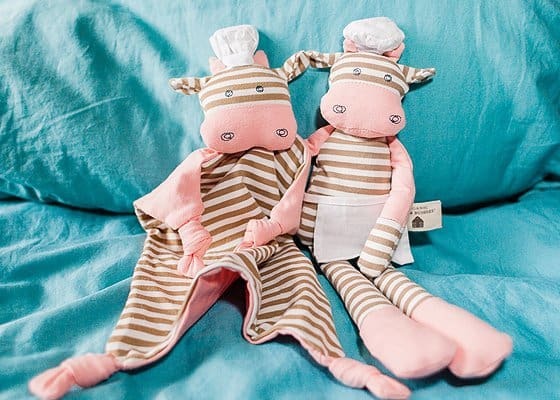 The Organic Farm Buddies plush pink and brown cow comes dressed in a tiny chef's hat and apron. His counterpart, the Chef Cow Blankie, is like a stuffed animal and blankie in one! Featuring two layers of organic cotton fabric that make up his body, this cute cow also sports a little chef's hat. 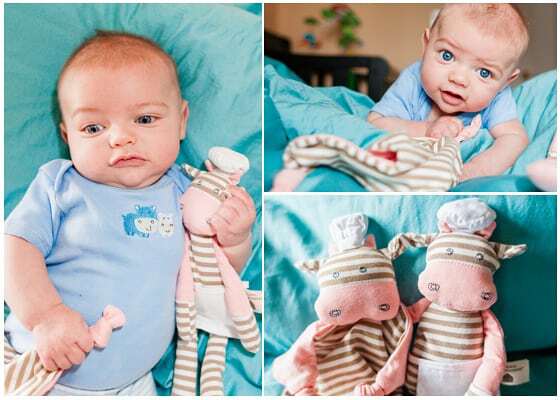 Both cows are made of 100% organic cotton and filled with corn fiber filler. Their eyes and nose are embroidered (no worrying about tiny buttons falling off) and have a rattle inside. They're each about 12" tall--perfect for babies now and when they're older. You can purchase them individually or go for the set that also includes a rattle. 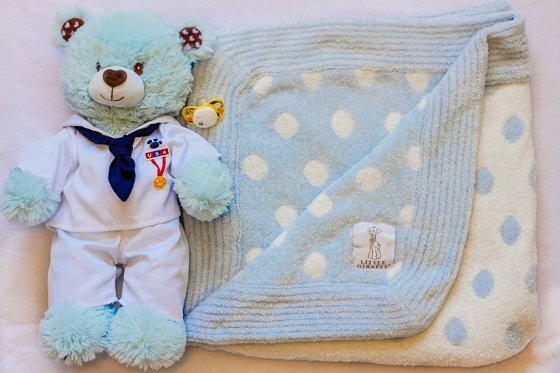 This blanket and plush toy, Mini G + Blanky, from Little Giraffe makes a great gift for babies and toddlers alike. The blanket is 14"x14", making it a great take-along blankie for little ones. It's size makes it great for little hands to grip and play with. Made of chenille, the blankie is super soft and plush with a silky trim. The blankie is also very thick, making it a great accessory to throw in the diaper bag and use for supporting a young baby's head. The set comes with a plush giraffe that's also made of the same velvety-soft Chenille. Babies will love snuggling the little giraffe as much as the blanket. The giraffe has an embroidered nose and eyes, so no need to worry about small pieces falling off and posing a hazard. Choose from a baby blue, soft pink, or seasonal ruby red. 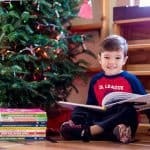 Do you have a new baby on your Christmas list and are at a loss as to what to gift them? 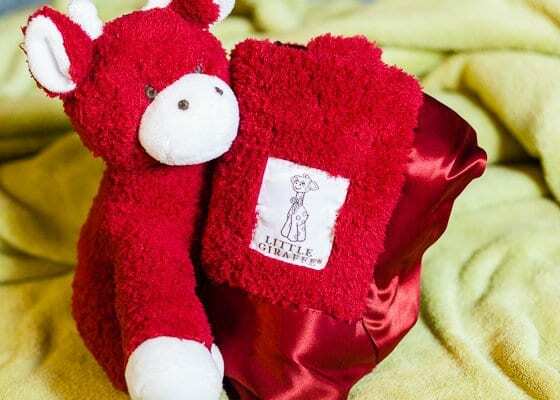 Give them a meaningful gift of the softest stroller blanket ever from Little Giraffe. 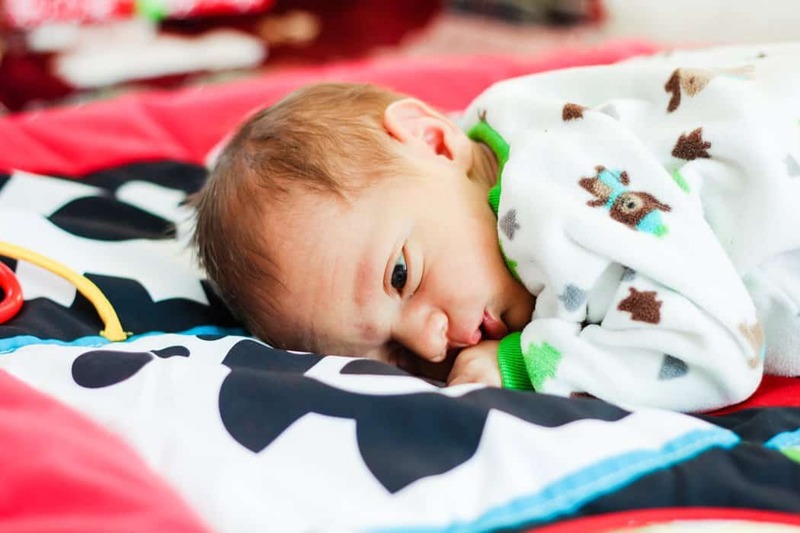 Feeling the blanket is believing just how high quality it is - and both the family and the newest baby in your life are sure to adore this gift for years to come. The Dolce Dot blanket pictured above is a thick, silky knit that glides through your fingertips and makes you want to snuggle up in its softness. If comes with the option of being beautifully wrapped in a box, making it perfect for gift giving. It comes in different colored options that are sure to match any baby's nursery, or unique style. 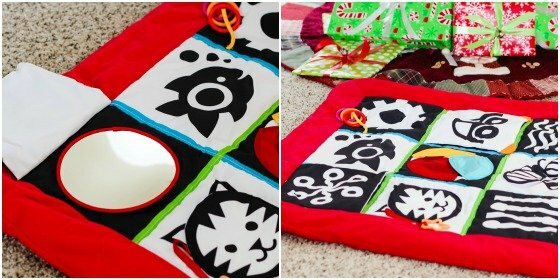 This stroller blanket from Little Giraffe is sure to wow for years to come. Keep your baby warm but looking cool this season with this fleece & corduroy outfit from Kapital K boys clothing line. This ensemble comes from their self-professed "cool, hip, fun, stylish and edgy" 2013 Fall/Winter collection. And we think this duo is precisely that--cool and stylish! 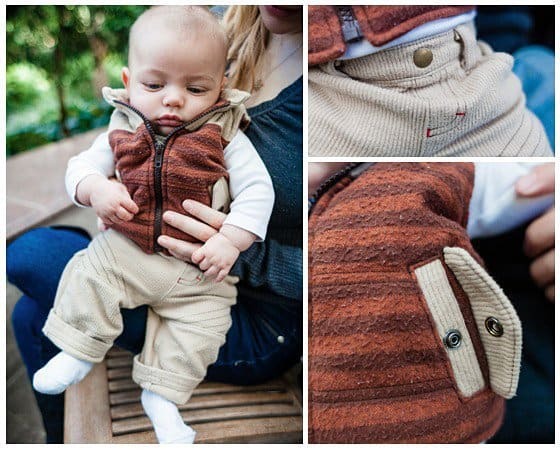 The puffer vest features warm, thick fleece in cinnamon-colored stripes. The collar and yoke are corduroy and the pockets, also made of corduroy, sport a snap-closure. The matching pants are made of the same velvety corduroy and feature back/side pockets, decorative stitching, and brass-colored hardware. Corduroy is a great choice for cool fall and winter weather, and the cinnamon color is perfect for the season, so be sure to pick up this outfit for the little guy on your list! The babies on your gift list need a little something to ease them into the new world of warm baths! Gift the Burt's Bees Getting Started Kit this Christmas! This kit includes trial sizes of Burt's Bees' famous, natural Baby Bee products: a tube of nourishing lotion, shampoo and body wash, diaper ointment, nourishing oil, and buttermilk soap! We love that Burt's Bees is a natural alternative to the chemical-laden products that you find on the shelves of your local department or grocery store. 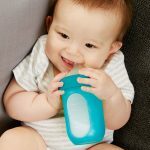 The babies (and the new moms) in your life will appreciate that you took into consideration the health and well-being of baby when you choose this holiday gift! Looking for a unique and useful gift for your infant? Check out Comotomo Teethers! 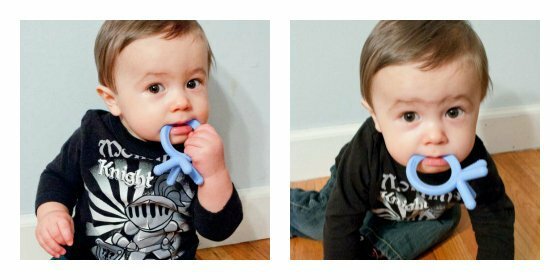 They're are a cool new take on a typical "teething ring" and are perfect for any baby who is teething. Comotomo Teethers are made from hygienic, medical grade silicone, so they're bendy and soft--perfect for baby's sore gums. Comotomo teethers are the perfect size for little hands to grab and hold. And, the multiple points and ring on the top offer many different places for little ones to chew and gnaw. 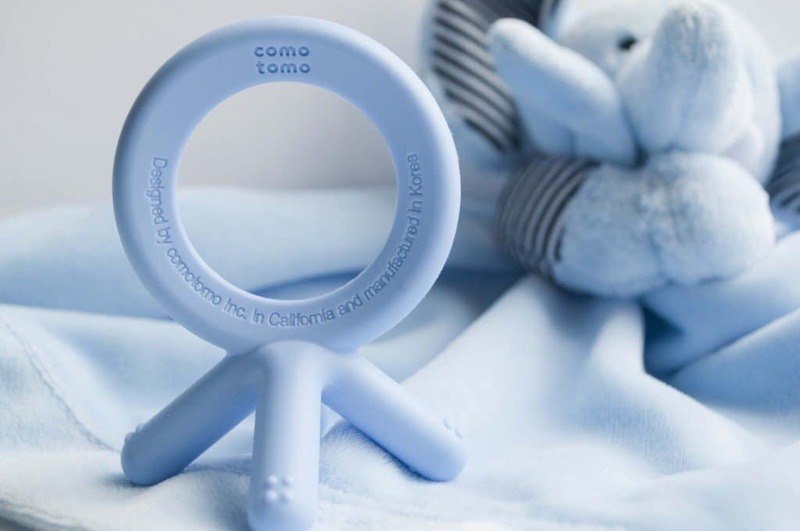 Our little model was a big fan of the Comotomo teether, and we're sure all the babies in your life will be too! If you're after a functional (and even fashionable) gift for your sweet babe, look no further than a soothing Baltic Amber teething necklace from Spark of Amber. 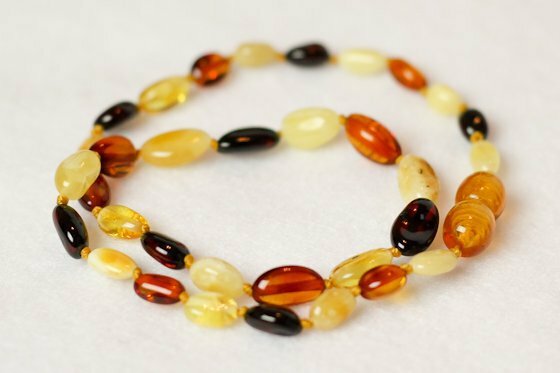 Whether your baby has yet to hit the teething stage or is in the throws of it, Baltic Amber has been found to be a natural cure for the excessive fussiness and discomfort that comes along teething. 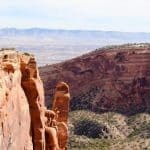 How does Baltic Amber work? Baltic Amber contains succinic acid which has been shown to reduce pain and relax the nervous system, just by being in contact with warm skin. Each smooth Baltic Amber bead on this Spark of Amber necklace is tied on for safety and the small screw clasp makes for secure wear. Your baby can wear this necklace during the day under your supervision, but it should be removed for safety at night. Some people suggest wrapping it around their ankle and tucking it into a sock for safer nighttime teething relief. Give your child (and yourself) the gift of a peaceful night's slumber this Christmas with the the revamped Twilight Turtle Tunes. 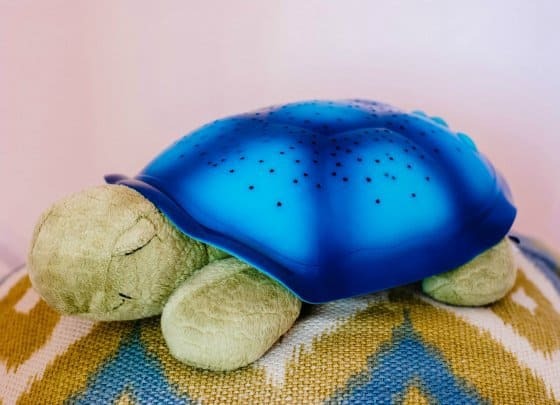 The original Twilight Turtle acted as a soothing night light for little ones; projecting star constellations on the ceiling throughout the night. The new Twilight Turtle Tunes is equipped with wireless Bluetooth technology. You can customize a special mix of sounds and melodies from a free Cloud B app and play it for up to 24 consecutive hours in combination with 3 color choices of light projection. 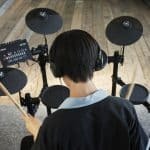 Or purchase the premium app for just $1.99, which allows you to access and add music from your personal music library to your child's customized mix. 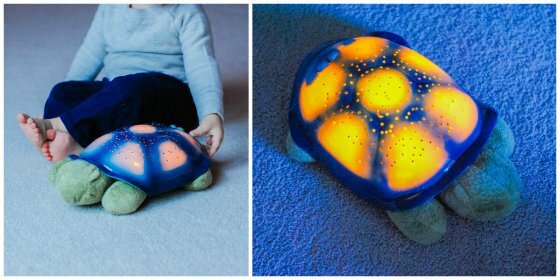 Your child will feel safe and secure each night as he drifts off to sleep to the soft light of his Twilight Turtle Tunes and his favorite songs softly playing in the background. 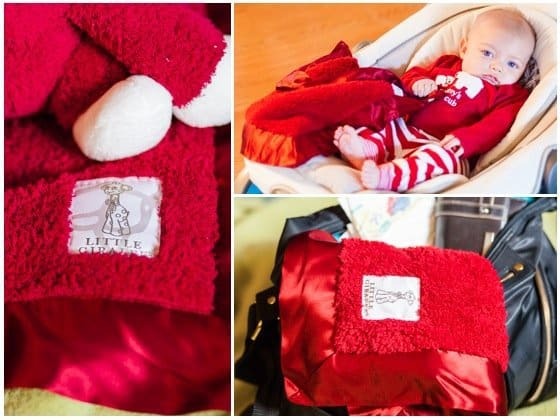 Get the baby on your list a gift he can start using right away--a JJ Cole Polar Bundleme cold weather cover! With this cover, there's no need to hibernate indoors this season. 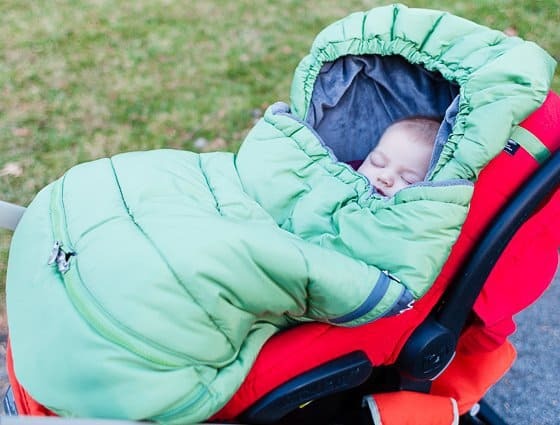 The Polar Bundleme fits over your baby's car seat, stroller, or jogger to shield him from the elements. A plush interior layer along with a hood keeps your baby-on-the-go warm during everyday outings, winter morning walks, or afternoon jogs. The cover has a removable top to prevent baby from becoming too warm. This is a great feature to have for those times when you need to pop into the store quickly with baby but don't want to remove the entire cover. 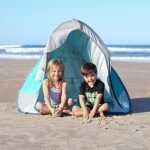 The Polar Bundleme also features a zippered extendable bottom to adjust to your child as she grows (up to about 4 years old!). The entire cover is machine washable and the zippered bottom is also great for cleaning off dirt from shoes. 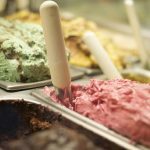 Choose from beautiful colors great for winter, such as Glacier or Slate, or opt for a cheery Sassy Pink or Moss. All items are carefully packaged in the fun Piyo Piyo storage case, and wrapped lovingly in an organza bag, perfect and ready for gift giving to your newest and tiniest loved one. 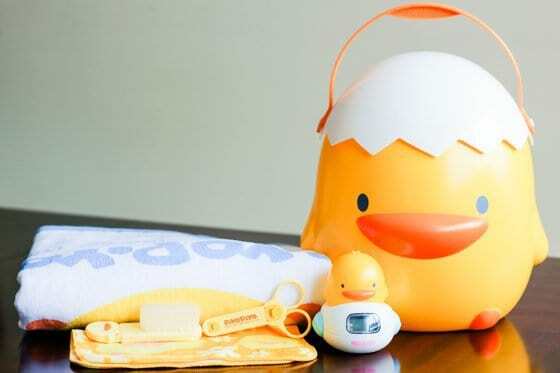 Give the gift of a fun bathing experience this Christmas with the Piyo Piyo Baby Bath Gift Set. Babies love looking at faces, especially of people they recognize so why not give them an entire colorful book of people who love them? 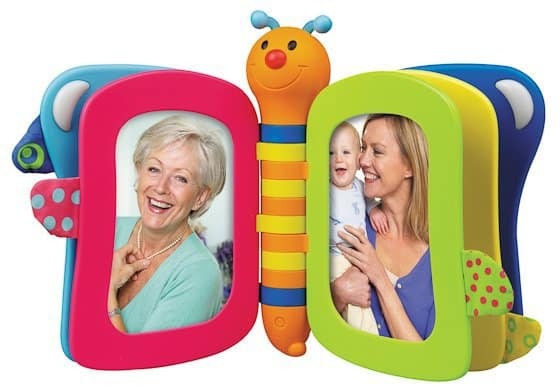 The Sweet Messages picture book by Tomy will help keep your little one connected to all your relatives that live far away. 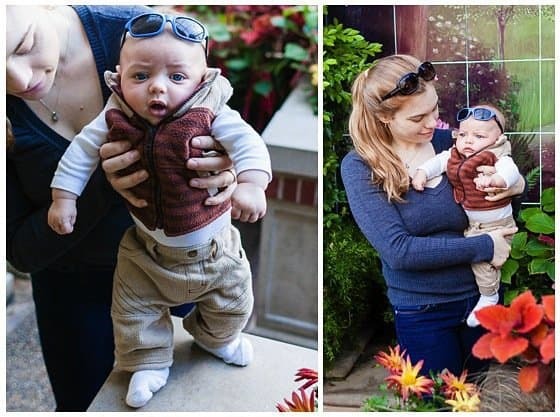 This is the perfect size to keep with baby at all times. Don't forget to take it in the diaper bag while your little one is away at daycare of grandma's house, this way they can always say a quick hi to mom and dad, too! 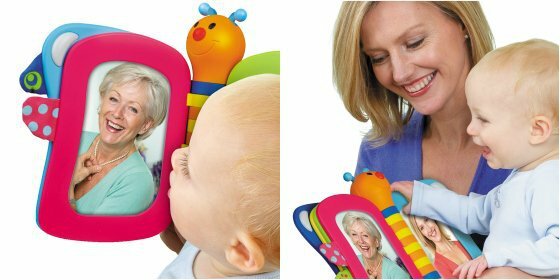 Wimmer-Fergusen toys reflect over 40 years of of lab research on infant visual development, so you can rest assured that your choice of gift will be well-used by baby, and well appreciated by his parents. 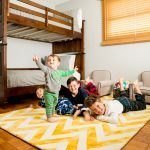 The back of the Crawl & Discover Mat is a soft fleece material, and it is also very well cushioned so baby will even be comfortable on a tiled floor. Give the gift of development and exploration this Christmas with the Wimmer-Fergusen Crawl & Discover Mat from Manhattan Toy. 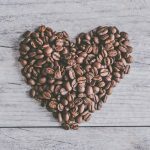 for more gift guides and holiday articles! Ariel is a working mom of two (expecting baby #3 next July!) who is married to her high school sweetheart. 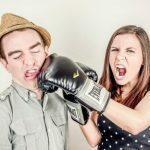 When she isn’t at the office or playing with her young kiddos, you can find her writing on her personal blog, Dreams To Do. Ariel is a lover of inspirational words, photography, coffee, reality TV, and of course, her family. 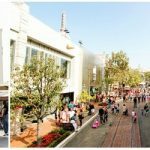 You can connect with Ariel on Twitter and Facebook.